Private Classes: We understand that schedules can be crazy and that we are all juggling so much. We are happy to work with you to create a private class or small group instruction to meet your schedule needs as well as your level of mosaic experience. We can arrange anything from very beginning fast and fun classes, all the way to advanced and specific technique trainings. Please call or email to discuss options. Independent Study with a Day Pass: An alternative to membership, Day Passes give folks familiar with our studio (previous SMA class required) the opportunity to work independently at the studio, with full access to tools and materials. 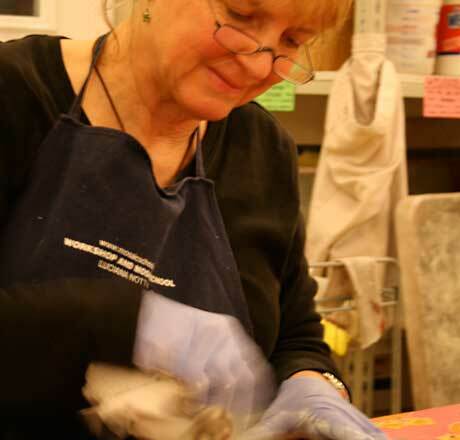 Day Passes are a great way for non-members to get to make mosaics at our studio. Please call or email to arrange for your getting started on a project, otherwise no appointment necessary. Contact us to arrange for either a private class or to get started on an Independent Study Project.